I said earlier in this Soundtrack that in the record collection that I got from Alex Sas are about a 1000 records. I think I miscalculated, it were a few hundred more. I have given away two boxes to the local charity shop, and I am still sorting out the rest of the records, meanwhile trying to come up with a plan to sell the records that I don’t want to keep myself. I keep on discovering songs that surprise me. Last night I got excited over a track on the first LP by Lime. I had heard other records by Lime, and I didn’t really like that. 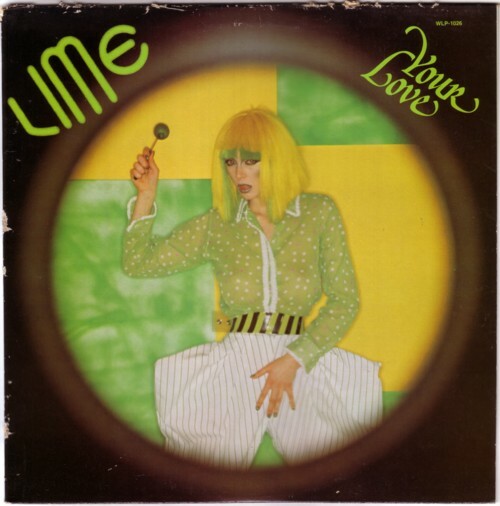 I am more into seventies disco, and Lime is from the eighties. I never could handle the introduction of synthesizers into soul music, so in most cases my interest ends around 1979. So I didn’t expect much from this LP either. But it turned out to be a full disco-experience! One track in particular stands out, Agent 406 . It lasts longer than the attention span of an average blog visitor, but please make some coffee, sit back and pay full attention to this 7 minutes of heavy disco.